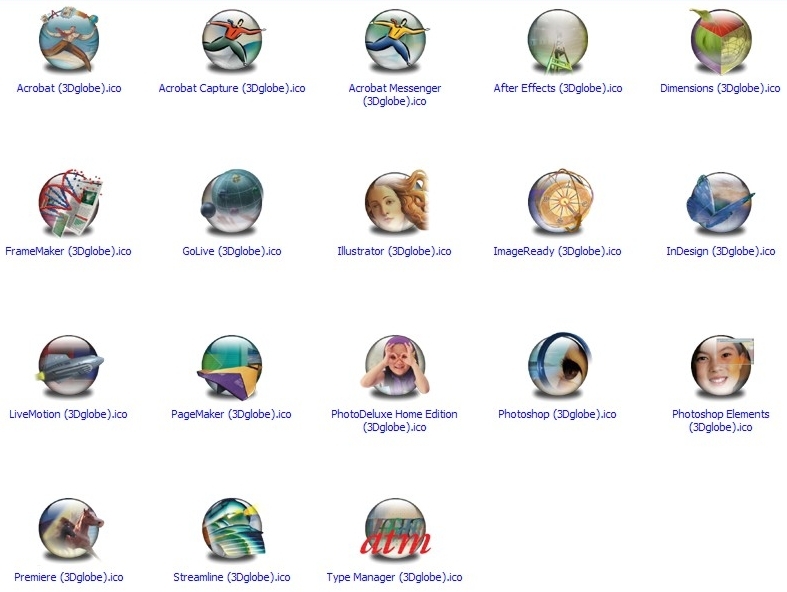 Here are some veriations on the Adobe apps globe icons I created. All icons should work with all versions of Windows 9x,NT,2k,XP. If not, please let me know. These are really cool. I love how the logos stick out beyond the borders of the globes. It's a very nice touch. Well done!